Our climate is a bit tricky and can be very annoying sometimes especially after the harmattan (dry season). During rainy season, we have very sunny days in between so there is still the danger of having your makeup melt off your face. But I still love my highlighter. On regular days, I prefer to use powder highlighters as I am used to them especially on myself. I'm not going to get my face airbrushed so I had better be good to myself and use something worthy of everyday wear. 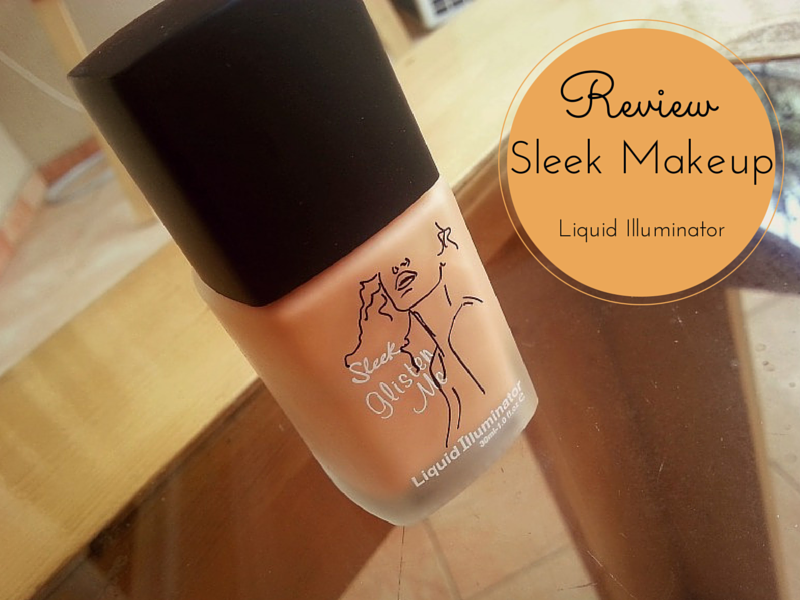 I've had the Sleek Makeup Liquid Illuminator for a while but was never really inspired it. I mean, I've only used liquid highlighters on the set of photoshoots so I was very hesitant. I had a couple of new products to try out recently and decided I might as well try the Illuminator.....again. The first time I tried it was only on my highlight areas. 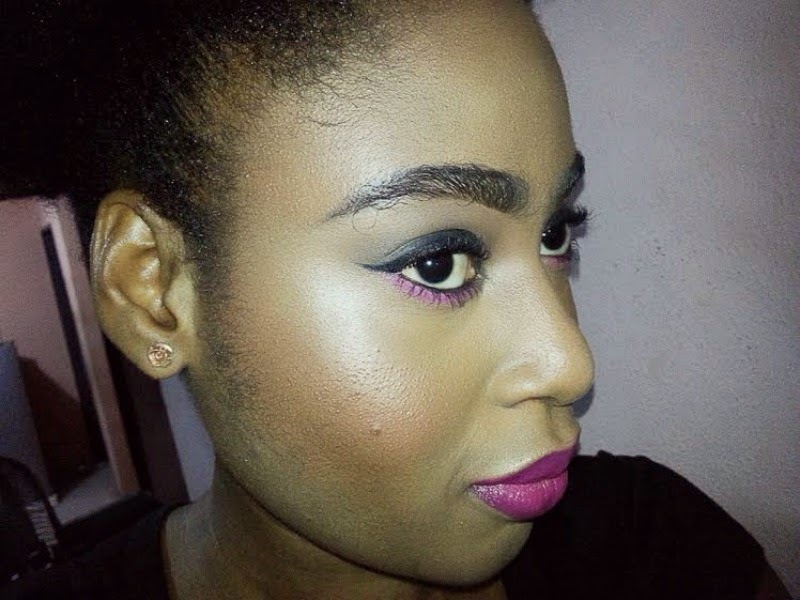 The problem though was that I had applied my contouring powder and it had moved into my highlight area a bit and we all know how it looks when liquid and powder mix. Not pretty at all. The second time, I remembered to use it right after my foundation and under eye coverage but I think I had a little too much on because it just didn't look right. The third time, I tried blending with my fingers thinking that warming the product up is what had been missing all along. The fourth time, I applied it all over my face mixed with my foundation......bad idea. I was obligated to give it one more try and it came out GREAT. The glow on my upper cheek bones was so soft but yet natural. I got compliments on the glow to my skin all day long. So like Robinson Crusoe, when you try and try and try until you get it right, you forget all the times you got it wrong. 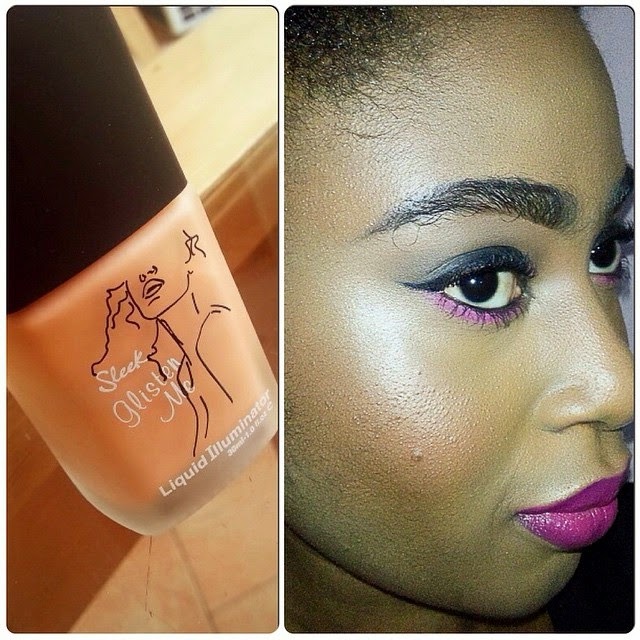 The Sleek Liquid Illuminator has a lovely smooth texture which actually blends really well. I have discovered that using a brush to buff it in is so much better than trying to work around it with the fingers as it has a tendency to slip on the skin. I use the Real Techniques buffing brush to buff into the exact areas I want the product. On days I'm in the mood for powder, I use my finishing powder on it, otherwise, I'm usually fine with the Sleek Liquid Illuminator, contouring powder and blush. 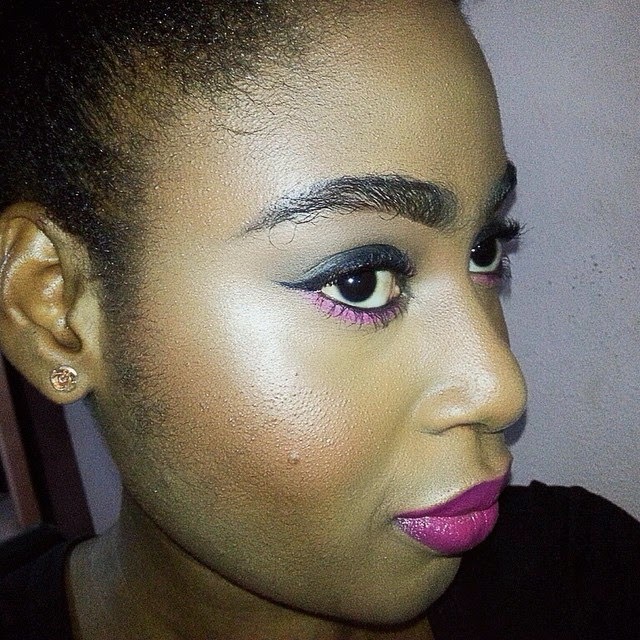 I've heard that mixing the product with foundation gives the skin a lovely, luminous glow. It didn't work the first time I tried mixing it with my foundation but I'm looking forward to giving that a try again. Have you used this product before? Looking forward to hearing your thoughts on it.